Raising healthy, successful, kind, happy and well-rounded kids is the goal of most parents. The idea that “it takes a village” is still true today. From school to sports, to clubs, and family, you are not the only one guiding your child into adulthood. With smartphones, social media, video games, and participation trophies, navigating the changing landscape for the “right” way to raise your child is challenging to say the least. Choosing extracurricular activities that will mold their character and reinforce the values that are important to you is an important piece of the puzzle. 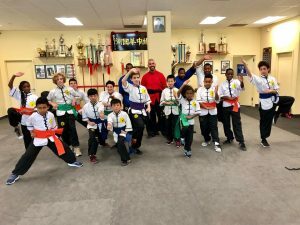 While traditional school sports certainly have a great deal to offer, we want parents to know the additional benefits our children’s martial arts program offers. It is not just Kung Fu, it is truly a character development program. How does children’s karate or martial arts achieve this distinction? We work hard to make sure our students reach attainable goals that improve their self-confidence over time. Overcoming shyness, uncertainty and the fear of failure is a huge step towards building a child’s character. It is not abnormal for children to feel as if the world revolves around them. When they enter the arena of martial arts, through the authentic traditions of Kung Fu practice, they begin to learn how to respect others. Starting with their master and classmates, their respect will spread to most areas of their life. Children will sweat and work hard in our martial arts classes. They will face physical challenges that will improve their stamina, strength, and flexibility, while they are having fun. Learning how to face challenges, overcome obstacles, bounce back from failures and persevere is a regular occurrence within our classes, strengthening your child’s mentality. The foundation of breathing and focus during martial arts practice will provide emotional health often associated with practices like meditation, yoga, and tai chi. Together this increased mental and emotional strength and health create a strong foundation for a bright future. Children face increased pressures in relation to school, friends, and extra-curricular activities. Sometimes creating stress and leading to anxiety. With the combination of physical activity, breathing, and understanding their reaction to stress, your child will learn skills for dealing with stress, so it doesn’t impact their overall ability to achieve goals. Sometimes new students can struggle to pay attention for the duration of their first classes. But over time, and with our guidance, our students learn to focus on breathing and technique, as it is required for improvement. This focus will begin to last for longer durations of time and cross over to other areas of their lives. When first joining martial arts class, discipline is placed on students by their instructor. As students grow, they learn the benefits of having a strong work ethic that will last them a lifetime. 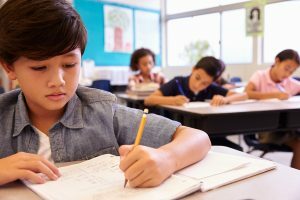 With less oversite, our students begin to show restraint and increased responsibility for school work and time management. The skill is vital as they move into middle, high school and college when parents and teachers will no longer hold their hands. Another important part of self-confidence and stress management is increasing the feeling of personal security. While the physical practice of martial arts provides self-defense skills, it goes hand-in-hand with the ability to resolve conflict without violence. Successfully and confidently managing everyday interactions with students and teachers at school (and beyond) will become more manageable. 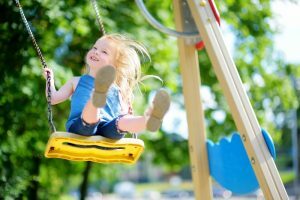 Your child will have fun and make new friends! If you’re ready to give your child lifelong skills for a successful, well-rounded, and happy life, give us a call or contact us today. 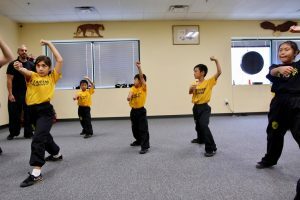 Try children’s martial arts classes risk-free with two FREE semi-private lessons to see if Kung Fu is right for your child. Call today to get started.